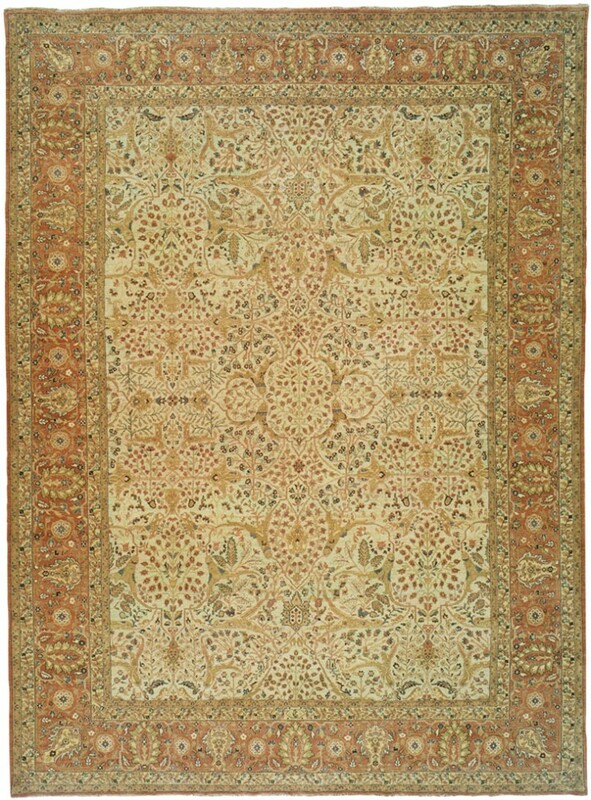 This rug’s finely drawn design and flatter texture create the ‘old world’ appeal of a Tuscan villa. Designers and home owners appreciate the flexibility of Tabriz to work equally well in formal or casual settings. 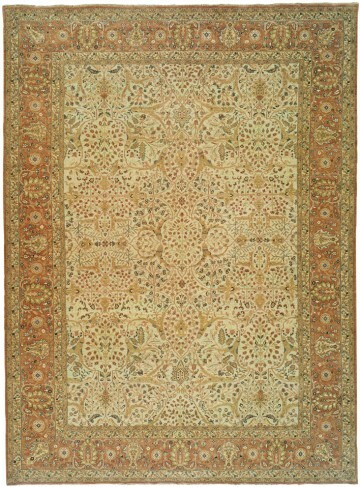 A montage of gold, olive and tan floral elements reside in a pale celadon field with a generous border of dusky coral. Expertly constructed of handspun wool colored with natural vegetable dyes add up to lasting quality.